Love’s Travel Stops and Country Stores share Oklahoma values across the nation. Greg Love acts as co-CEO of Love’s Travel Stops and Country Stores with his brother, Frank. Turn the wheel down any Oklahoma highway and it won’t be long before you encounter the familiar heart-themed beacon that signifies a Love’s Travel Stop. The fueling-convenience store empire, which spans 470 locations in 41 states, has humble, family roots. In 1964, Tom and Judy Love took a chance on an abandoned gas station in Watonga. Before long, the couple opened additional stations in Guymon and Amarillo, Texas. The rest is history. While much has changed, co-CEO Greg Love, son of Tom and Judy, says one standard remains constant: a commitment to treating others like family. 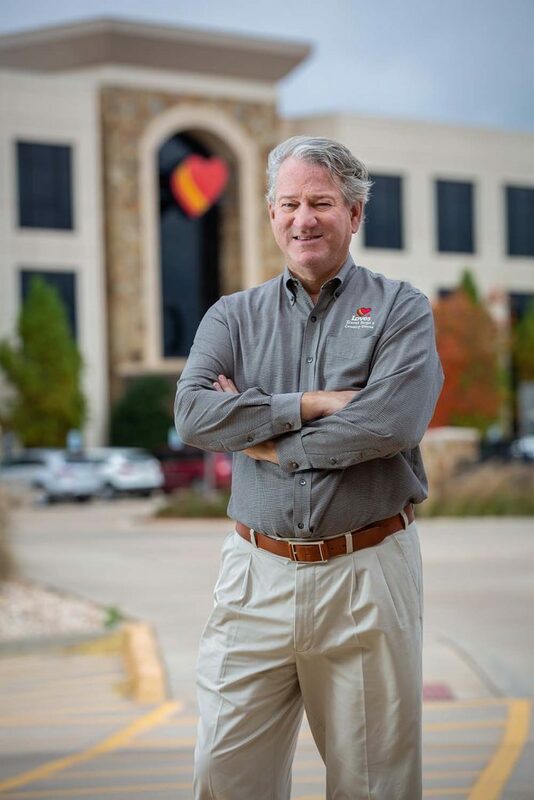 Love began his career with the company as an hourly employee during his high school summers. When he attended Trinity University in San Antonio, he served as an assistant manager at a Love’s. In addition, he shadowed other members of the Love’s corporation for three years, scoured the nation for new locations and worked with contractors on construction. 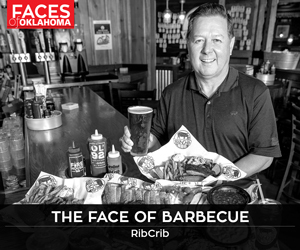 In 1986, he joined Love’s central offices in Oklahoma City, where he has worked on his family’s vision for the past three decades. He is not the only family member to join the business; his brother and sister serve as co-chief executive officer and vice president of communications, respectively. “There are now three generations of Love’s family members in our organization and everything we do stems from that close-knit bond my parents started more than 50 years ago,” Love says. Another commitment established by Tom and Judy Love is philanthropy. Since 1999, the company has raised more than $28 million for the families and children helped by the Children’s Miracle Network hospitals. Nearly $3.5 million of that was raised by Love’s employees during their 2018 in-store campaign. Love’s also supports educational endeavors. The company partners with the Foundation for Oklahoma City Public Schools, KIPP schools, the Cristo Rey Catholic High School’s learning and work program and Teach for America-OKC. It helps to fund secondary education, including the University of Oklahoma, Oklahoma State University, the University of Central Oklahoma, Oklahoma City University and Langston University. While the company has traveled far from its modest beginnings, Love says that it won’t become static. 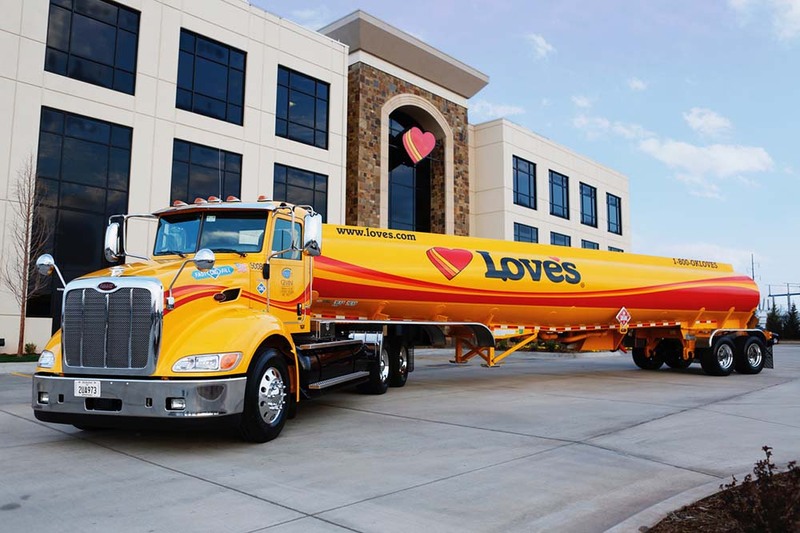 “Love’s continues to grow its highway hospitality footprint with 40 new travel stop locations planned each year so we can serve more professional truck drivers and motorists in communities across the country,” he says. “Love’s will continue to grow its oil-change and preventive maintenance network for truck drivers with Speedco. “In addition, Love’s Hospitality will continue to expand its reach in the new year, adding convenient hotel locations for our customers to rest and recharge. Trillium, a member of the Love’s family of companies, will remain a leading developer of alternative fueling system design and continue to provide innovative energy solutions. 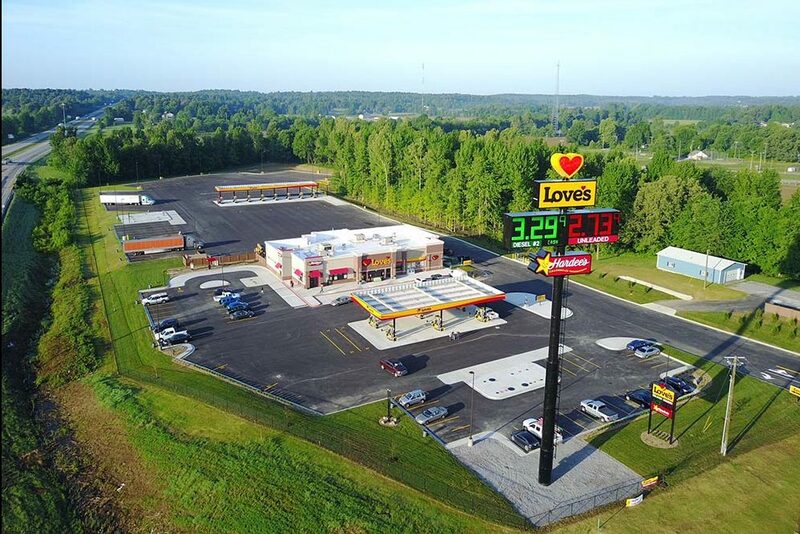 Whether you’re in Oklahoma or Ohio, West Virginia or Wyoming, if you spot that familiar heart on the side of the highway, stop in and say hello to Love’s … because you’re part of the family.